Photo: Two meerkats hiss at each other. 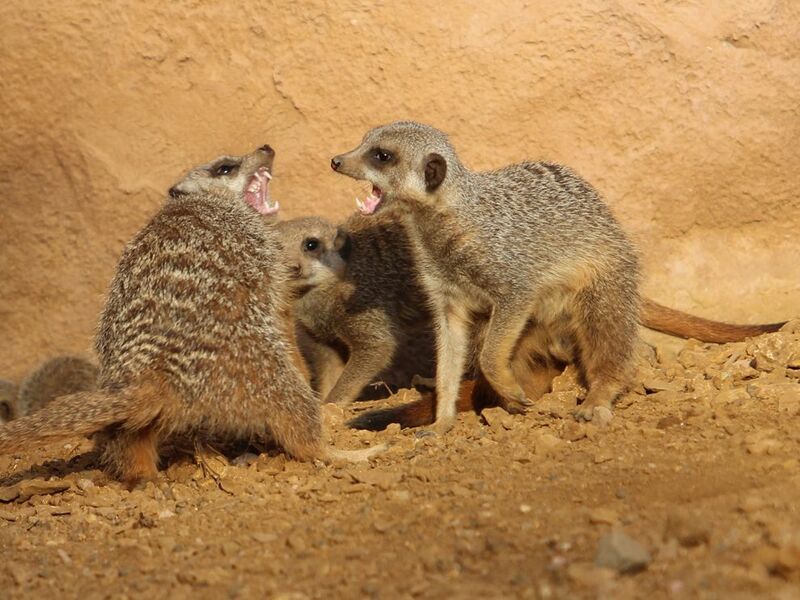 Despite their cooperative behavior, meerkats are aggressive animals, and conflicts between mobs are common. Meerkats compete for food and other resources.